and hot and cold water supplies. 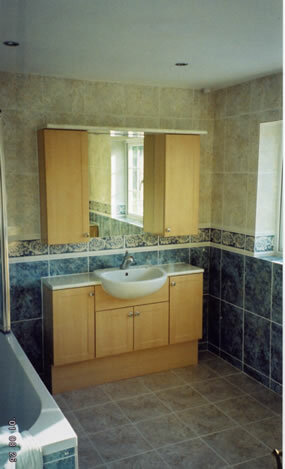 The bathroom consists of Venetian Sargasso Pear fitted units, Ideal Standard sanitary ware and taps, a Showerlux bath and screen and an Aqualisa Quartz “off the wall” power shower. 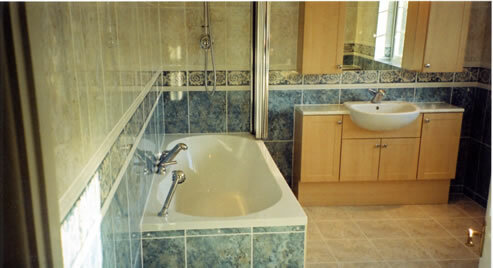 The room benefited from low-voltage down lights and an extractor fan. 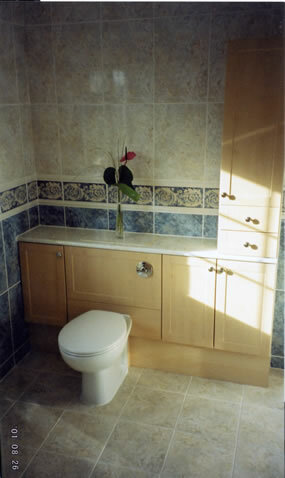 Wall and floor tiles are from the Porcelanosa range.